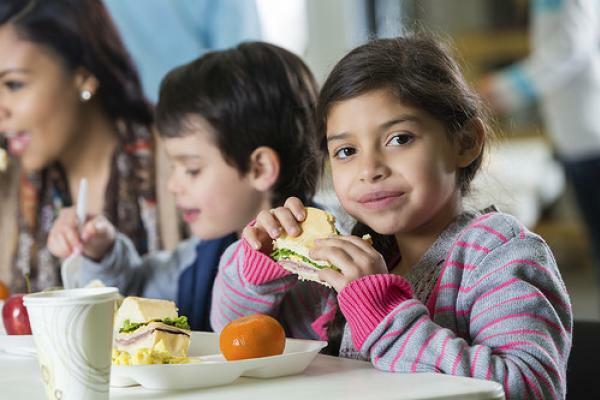 Hunger is the quiet social issue that is persistent in our community. At St. Joseph’s Family Center we fight it daily. But when one of our children is hungry, we all suffer, and we are compelled to do more. Hunger can not only affect a child’s physical health, but it can have detrimental effects on their ability to socialize, their emotional health, cognitive skills and ability to comprehend and learn. Without the ability to learn and get a good education, their chance for self-sufficiency is greatly reduced. As this plight grows we are rising up to meet the challenge. We reached out to our supporters and asked for your help. Your giving allowed us to grow our storage, both dry space and refrigerated. This has increased our capacity to serve more of our neighbors in need. With your support, you have enabled us to start 12 off-site pantries, making nutritious food accessible to very low income families and children where it is most convenient for them – at their schools! It is within our power to make a difference! But it will take all of us to have a sustainable impact on these working families. With your continued support, we can maintain these pantries making our community stronger, more united, and giving hope to our children for a better future!